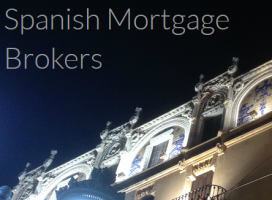 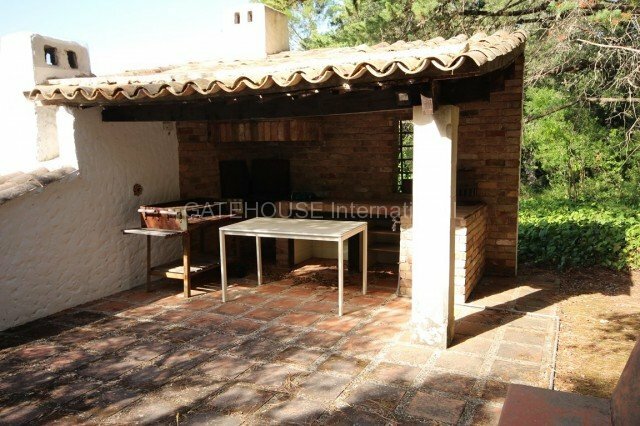 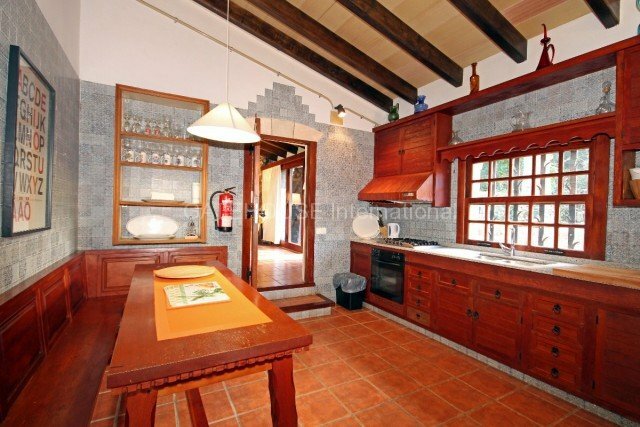 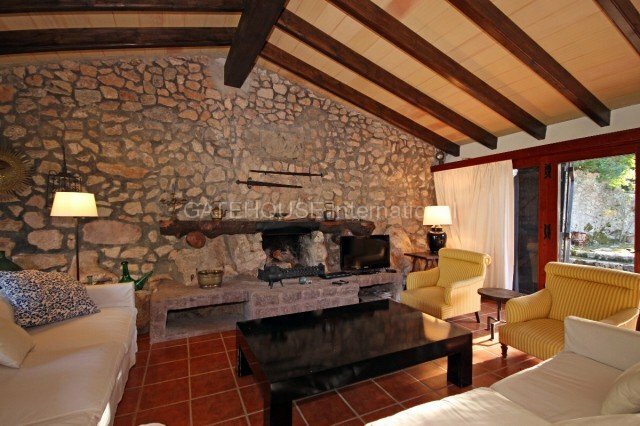 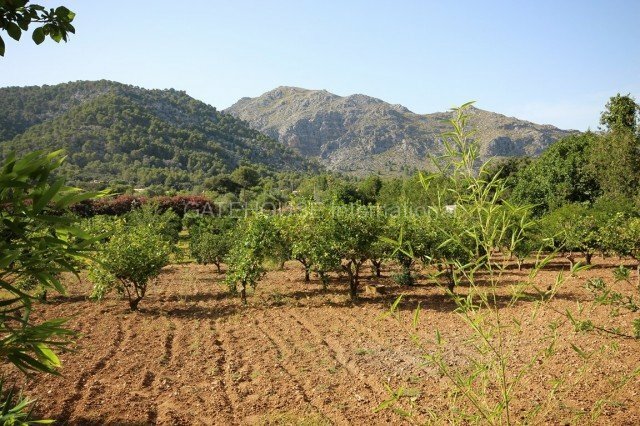 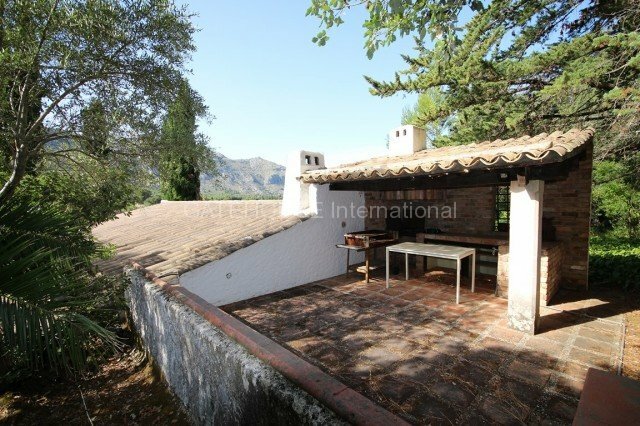 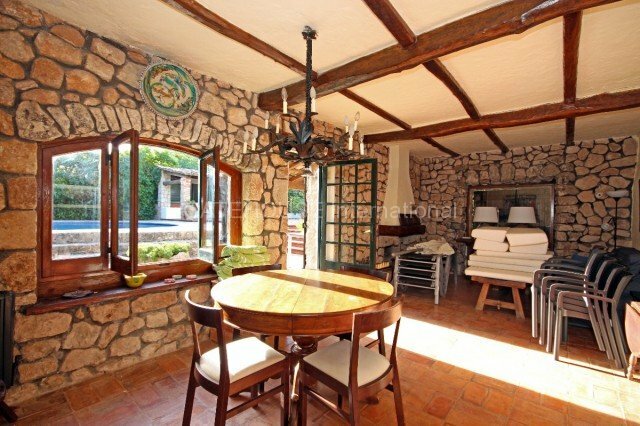 This lovely detached home is within walking distance of Pollensa Old Town and offers views over the Tramuntana mountains. 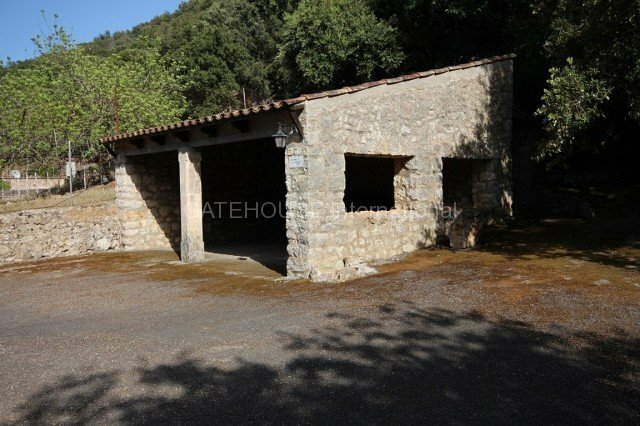 The house has excellent sized living accommodation to include a rustic kitchen, dining room, living room with open fireplace, four bedrooms and two bathrooms. 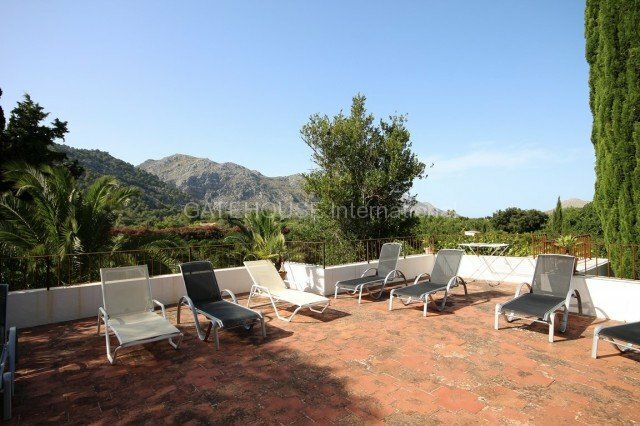 There is a large terrace that surrounds the round swimming pool and various covered terraces and BBQ area. 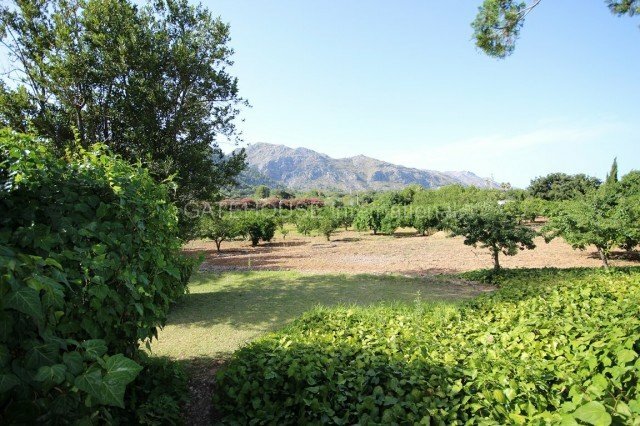 The plot is approximately 4 acres with fruit and oak trees and it also has a Carport with parking for two cars and a storage room. 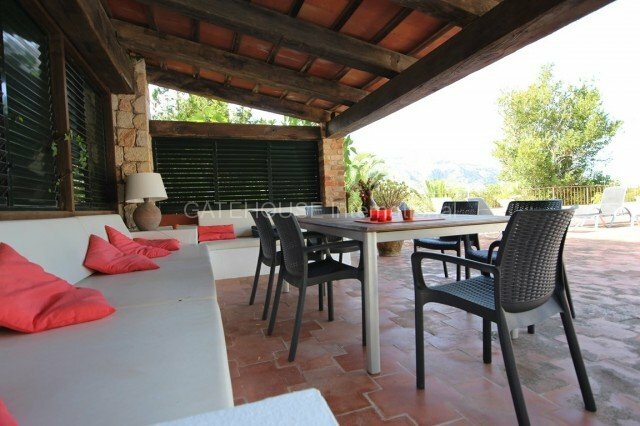 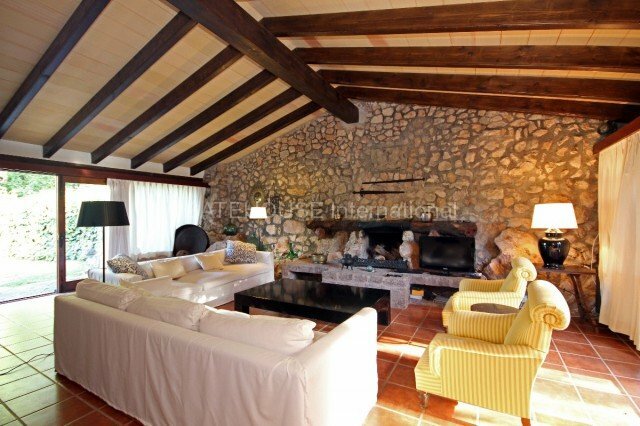 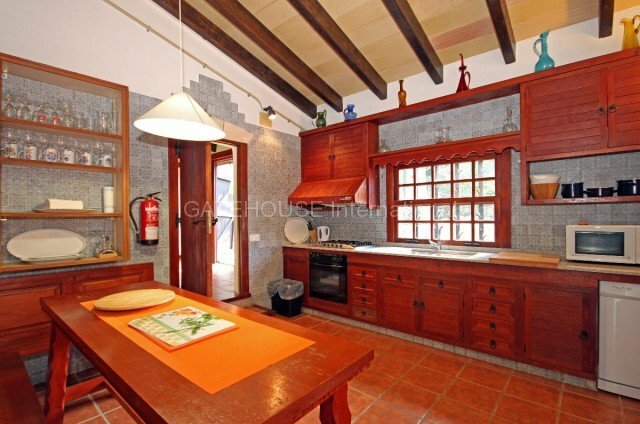 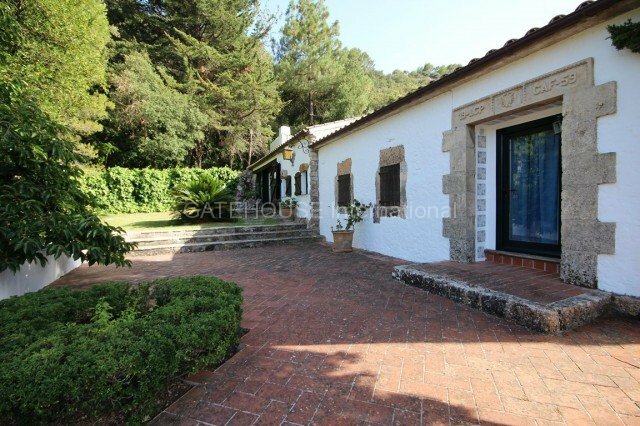 This lovely home has beautiful mountain views and is also close to the golf course and only 700 metres from the heart of Pollensa Old Town.